Are Funhog Towns 'Better' Than The Ones They're Replacing? Shifting Values: Are Funhog Towns 'Better' Than The Ones They're Replacing? Everybody wants to use the resources of Greater Yellowstone. But how are such uses benefitting wildlife and wild places that make our region world-renowned? Community transformation: what does it mean, what does it look like, how did it happen? The kind of non-hustling quietude so rare and fleeting today was still abundant. A trophy home costing seven figures to build was so anomalous that everyone in town talked about it. There was no affordable housing crisis or gated subdivisions with security guards. The runway at Jackson Hole airport was shorter and the planes landing smaller. Strutting sage grouse outnumbered the count of landing Learjets. Teton Village was rustic and quaint, kind of like Big Sky used to be, too, a far cry from its current pretentious persona. Teton Pines, subdivision designed around a signature golf course, had yet to be created. There were no massive real estate plays happening on the other side of Teton Pass in Idaho. Mardy Murie, “the grandmother of modern American wildlands conservation,” still entertained folks over cookies and tea in Moose. The Jackson Hole Conservation Alliance, at least the early manifestation of it, was still feisty, having just successfully rallied citizens to fight off potential oil and gas development proposed for Cache Creek east of town. Back then, there were no mountain bikes (not like they are today nor the swelling tidal wave of users), no major wildlife safari companies, and except for dude ranch horse rides, guided climbing, hunts and fishing, river floats and skiing, there was none of today’s ultra-manic, opportunistic fervor to monetize as much of nature as possible. Because of the heart-palpitating way the Tetons rise, Jackson Hole has always stirred high-adrenalin energy in people, though the vibe wasn’t so amped up as it is now. All these years, while locals vowed they never wanted their community to become “the Aspen of Greater Yellowstone”, that’s exactly what happened. And many Jackson friends I knew and relished have cashed out and fled, some moving to Bozeman. Occasionally, I still come across notes from interviews I did with vaunted oldtimers such as Cliff Hansen (a U.S. senator, governor and local county commissioner who fought against the protection of Jackson Hole as a national monument, claiming it would devastate the local economy). The monument formed the basis for creation of modern Grand Teton National Park, the pillar for Jackson Hole's economy today. Later in his life, Hansen said he had been wrong to oppose federal landscape protection. I also interviewed Louise Bertschy, matriarch of the Turner clan who owned the Triangle X Dude Ranch located inside Grand Teton. The family, in a willing seller, willing buyer agreement, sold the ranch to the federal government and today they run it as concessioners. Bertschy is the mother of John F. Turner, a former national director for the U.S. Fish and Wildlife Service and hunting outfitter-guide Harold Turner, whose animosity toward wolves, environmentalists and the federal government for restoring them is no secret. I spent time with John Clymer, a noted painter/illustrator who, second only to Norman Rockwell, notched the most covers of the Saturday Evening Post. I visited with the Hardeman Brothers (when they still ran cattle in the meadows outside of Wilson) and Mary Mead (daughter of Cliff and Martha Hansen), mother of current Wyoming Governor Matt Mead, who made a gubernatorial run herself, and who died tragically in a horseback riding accident. I also met legendary flyfishing guide Boots Allen, mom and pop hotelier Stippy Wolff, conservationist/botanist Weezy MacLeod (sister to Mardy Murie), newspaperwoman Virginia Huidekoper (who piloted a plane and documented Bill Briggs first-ever descent of the Grand Teton on skis), Jackson Hole Mountain Resort founder Paul McCollister, Bob Dornan, Ted Major who founded the Teton Science School, former U.S. Interior Secretary James Watt, historian Doris Platts and others. That’s one of the dividends of being a young inquisitive journalist. You meet a lot of people. If you live today in Jackson Hole and don’t know of them, then much of the above, related to the narrative of community change, probably holds no traction. If, in the late 1980s, you owned property in Jackson Hole before the boom, or worked as an enterprising land broker, you couldn’t believe how fast real estate prices skyrocketed. It used to be that ranchers were the only ones who were land rich-cash poor; suddenly nearly every member of Jackson Hole’s working class lucky enough to own their own home fell into that category. If you cash out, you would only be able to buy half a house if you stayed and the thought of leaving the Tetons isn’t an easy one for many. I write this knowing that the stories of how communities change are complicated and never wholly linear. And the same storm of transformation blowing through Jackson Hole and spilling over the Tetons into Idaho and down the Hoback and even in the direction of Dubois is sweeping across the Gallatin Valley and Bozeman. As communities shifted, something remarkable has happened on public lands. In many ways, if you consider the reintroduction of wolves and the recovery of both grizzly bears and mountain lions, they became wilder. Those who hated predators still curse them along with lobo and bear conservation advocates, the same way indigenous people reviled the first settlers. Yet those who scream that things were better when cattle grazing was allowed to predominate other uses in Grand Teton National Park cannot deny the appeal that wild nature has in the 21stcentury. As numbers of hunters declines nationally, far more people are willing to shell out good money to see grizzlies alive and hear a wolf pack howl. 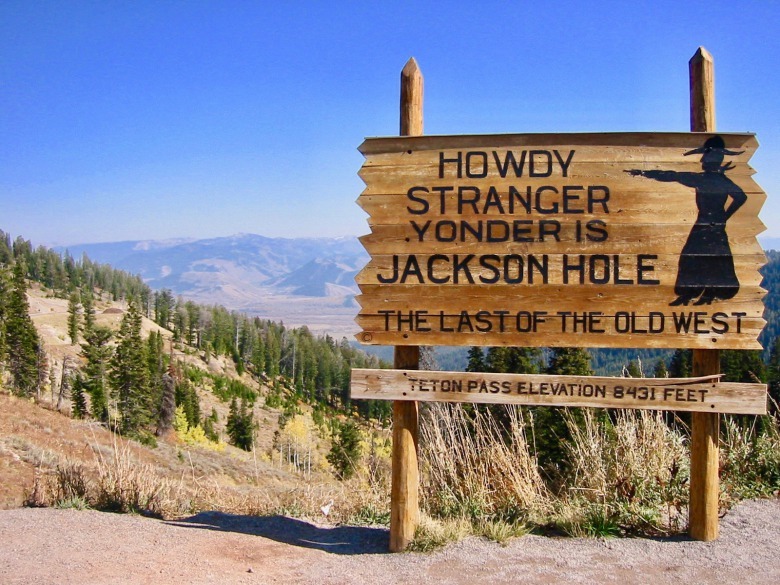 Like it or not, savor the “new” Jackson Hole or relish the past, but it’s a fact. With changing attitudes and values comes new challenges, none any more benign than the previous era of resource extraction. Forests usually grow back and livestock grazing can be managed. 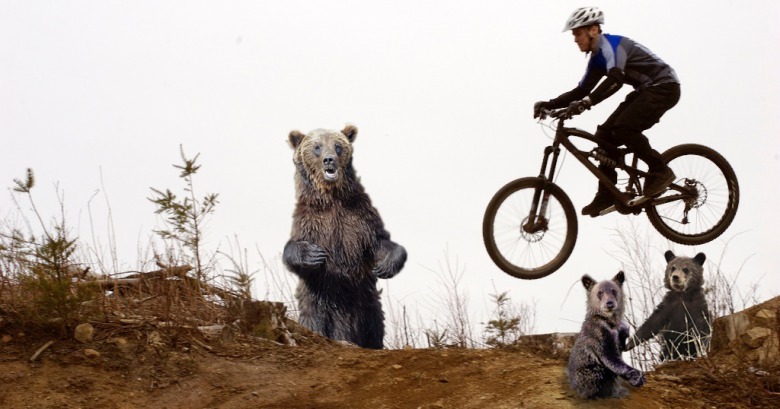 But condos bring permanent habitat fragmentation and outdoor recreation is its own kind of industry. Everybody wants a piece of this place, and many now look out upon the landscape not as a fine place to grow a beef cow or turn a tree into merchantable lumber but how to recreate, which is its own kind of consumptive conundrum. Unspoiled nature is an economic driver but it’s also the backbone of why we choose to live here and not in Paducah. For those who want to dwell close, it can be an economic struggle and one of the questions we need to ask is: why should only rich white people—who represent proportionately a minority segment of the U.S. population—get to most enjoy the dividends of conservation? It’s a trend that is growing in mountain towns and yet it’s the affluent, too, who through their (our) own habits of material consumption and focus on living lives of perpetual play that are fraying the wildness we claim to love by our desire to treat it as an outdoor gymnasium. Is that sustainable? 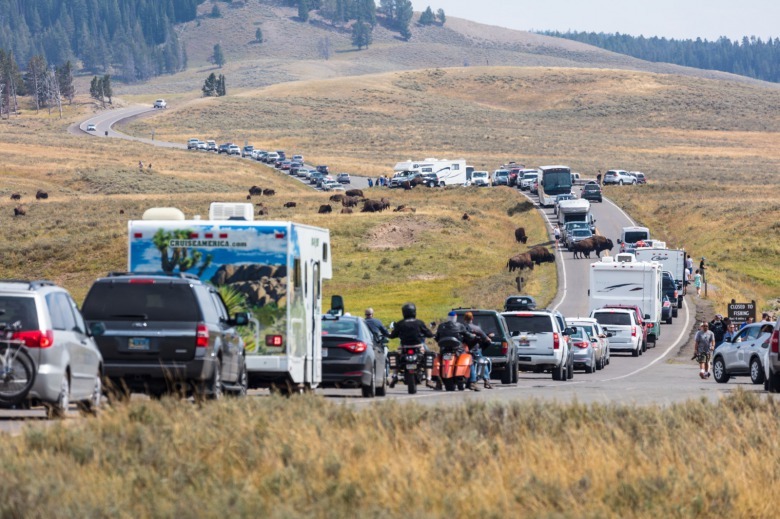 Lacking is any real unified reflection on what accelerating user numbers means for the very wildness that sets Greater Yellowstone and Jackson Hole apart—by conservation organizations, by land managers and even by we users constantly demanding more access. It’s been a topic conspicuously absent at the Jackson Hole SHIFT festivals, where the emphasis is predominantly focused on use and not on examining the habitat needs of sensitive wildlife in Greater Yellowstone. I wonder: if SHIFT—which started with funding from the local Jackson Hole Travel & Tourism Board to promote shoulder season commerce—isn’t really discussing wildlife conservation in Greater Yellowstone, then how can it claim to be a leader in exploring the intersection between recreation, adventure and conservation? Its critics say it’s more about use and less about conservation. Similarly, in a few weeks, the Greater Yellowstone Coalition will be hosting a symposium on recreation at Montana State University, which is momentous and important. Yet the line-up of experts being brought in is disproportionately sparse when it comes to scientists/land managers seriously scrutinizing what the negative impacts of rapidly-expanding recreation are on wildlife and solace of our region. Moreover, the looming question, still unanswered, is how having more users translates tangibly on the ground into better outcomes for wildlife. Outdoor exercise is obviously good for us. It leaves us feeling inspired, of sounder body and mind. Who could argue? But we don’t need studies to tell us that and, frankly, it isn’t the point. The point is understanding our impacts on creatures that have nowhere else to go when they are displaced by people from habitat they need to survive. The point is grasping the uniqueness of Greater Yellowstone, safeguarding irreplaceable intangible assets that cannot be bought or sold. At FutureWest’s recent conference, Sustaining the New West, held in Bozeman in November 2017, a series of speakers called attention to the manifold ecological threats of outdoor recreation. Brooke Regan, who works for the Greater Yellowstone Coalition, said she was “astonished” at how little public land managers know. And yet every year they are approving new uses and expanding human access without understanding the cumulative consequences of their actions for wildlife. Some national forests are presently in the midst of writing new management plans that will set the course of recreation for a decade or more and yet, when it comes to outdoor recreation, especially mountain biking, backcountry skiing, snowmobiling, ATV use and the impacts of multiple other recreation activities occurring in the same places, they are managing in the dark. Greater Yellowstone is a biological island being constantly squeezed and fragmented by human activity. Population growth, expanding development and climate change represent major stressers to Greater Yellowstone's unparalleled wildlife. Why isn't there an ecosystem-wide conversation occurring among all public land managers and communities about population growth, climate change and outdoor recreation? Fifty years from now the people who come to Greater Yellowstone will revere us not for how many new trails we built or peaks we bagged or waterways in Yellowstone we forced open to boating through horrific legislation, but by our own ethic of self-restraint. Yes, we can falsely believe that we that we can “have it all" (unbridled human use and wildlife abundance), that we should “take” what we believe is “ours"—be it the river, the bear, or the mountain; commodify things; use them up; and conquer to suit our own holier than thou egos. Or we can choose to leave pieces of wild country untamed and ungentrified—if not for the next human generation then for the animals. Just because one hikes, rides, runs, climbs or paddles does not inherently make one a conservationist, any more than lifting weights, shooting an animal or rolling a bowling ball does. Every single one of us who recreates needs to have a look in the mirror and ponder what are we willing to do—live without unconditionally—to better the prospects for wildlife. That is the essence of what it means to be a wildlife conservationist. The shift we need is one that transitions away from being focused only on sating individual desires and venerating self-interest to contemplating what’s good, too, for those who come after us or live beneath us. It means accepting limits to achieve a common good. That, after all, is the essence of communities where mindful people want to be and where wildlife living at the fringes still has a chance to persist. 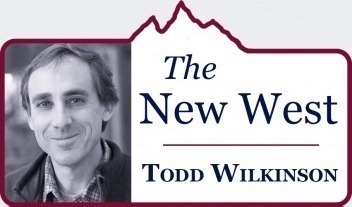 Todd Wilkinson is an American author and journalist proudly trained in the old school tradition. For more on his career, click below. (Photo by David J Swift).